Ork Records On Geek EmaNation Podcast! Ork Records may not have become a household word during its 5-year tenure from 1975-1980, but it certainly help set the stage for several music revolutions that ended up sweeping the world. From its powerful first release by TELEVISION (“Little Johnny Jewel”), Ork Records culled many of the most innovative underground rock and pop bands from around New York City (and sometimes Memphis and the UK) to serve up a 45RPM stew that would ignite imaginations everywhere. 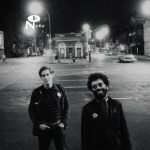 The best of Ork was recently compiled and re-released by Chicago obscurity reissue label Numero Group, and the first CD of this astonishing 2-CD set is featured on this GE episode. Punk/DIY origins exploding, fellow music geeks!